After spending way too much time writing To-Do Lists…it seemed like I wasn’t doing anything but making a list of more things to do…I finally came up with a DID LIST. And while my to do list is still growing, my Did List it quite comforting! 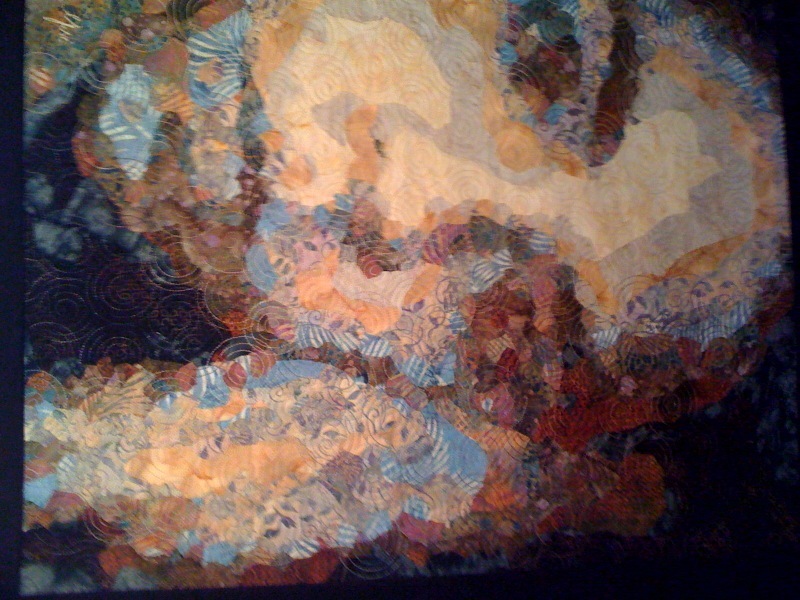 One of my fav’s on my Did List, is this quilt I made of my daughter. From a distance, it looks like a photo…but close-up, all the eye sees is tiny little pieces of fabric. Using a computer program that turns a photo into basically a paint-by-number print out, 12 different colored batiks, and some heavy duty embroidered quilting…I’ve come up with the quilt below. Yes, those are tiny little pieces of fabric. I’ve included a “close-up” and a smaller image to help you see this “optical illusion.” You could also just squint at the larger picture to get the idea. The photos really don’t do this justice! The hardest part is choosing the fabric and arranging them from light to dark. This is made a little easier by photocopying your fabrics (in black & white)…you want to judge the values of the fabric on a grey-scale, going light to dark. When the fabrics are all pieced together, your eye will only register the VALUE, not the color. (It’s recommended to stay away from red or pink fabrics, however – because your eye will see the red). 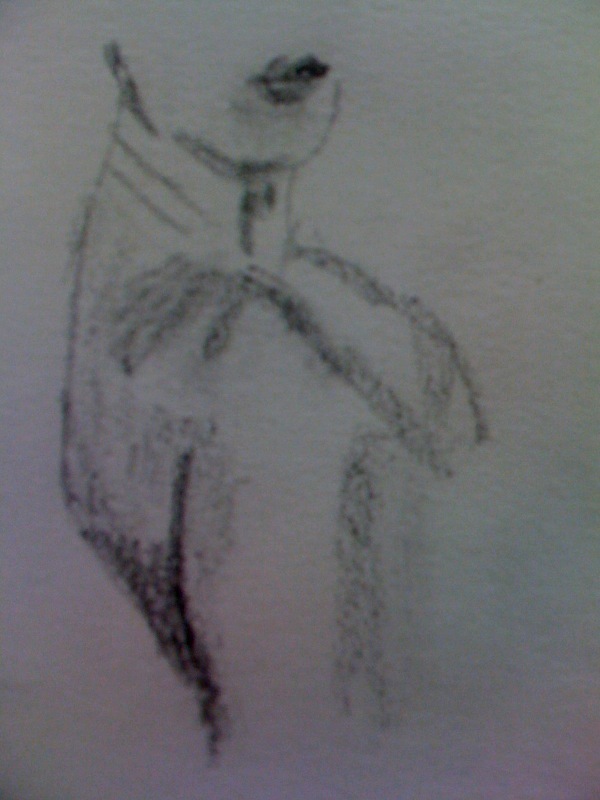 I’ve already got another one in the works…this time, a picture of Billie Holiday! Wow, that woman could sing! I had to get my creative side from someone…and my mom has always been there to encourage me. She’s the type of mom who doesn”t mind making a mess. She was the first with the finger-paints, glue, Play-Doh, fabric, scissors, papers, etc., She knew that to create art, children (and adults) needed to be free to create a mess, especially if it meant creating something “artistic and creative!” Well, we are both still making messes and beautiful art. And while my little blog has mostly been about my attempts at art, I thought it was high-time I share some of this space. Most artists I’ve met have always been some of the most generous people you could possibly know. Artists, musicians, etc., know that great pleasure can be gained in sharing and teaching what they’ve learned. They realize that to inspire others is inspirational in itself, and one of life’s sweetest rewards. It’s a well-learned lesson for all of us. So – time for a shameless plug for my Mom’s New Etsy shop! Yeah, Mom! 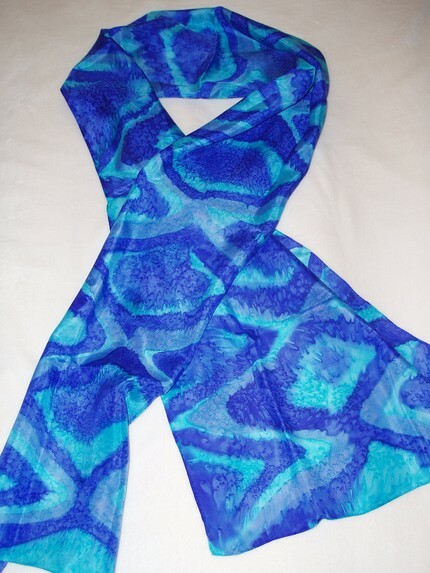 Her silk scarves are all hand-dyed and/or hand-painted, and quite simply: BEAUTIFUL! Scarves have been all the rage in Europe forever and we’re finally catching on here in the States. I’ve talked her into a couple for myself, but she has plenty more and loves making them. So keep checking her site for new ones. Here’s just one of the many she has for sale. 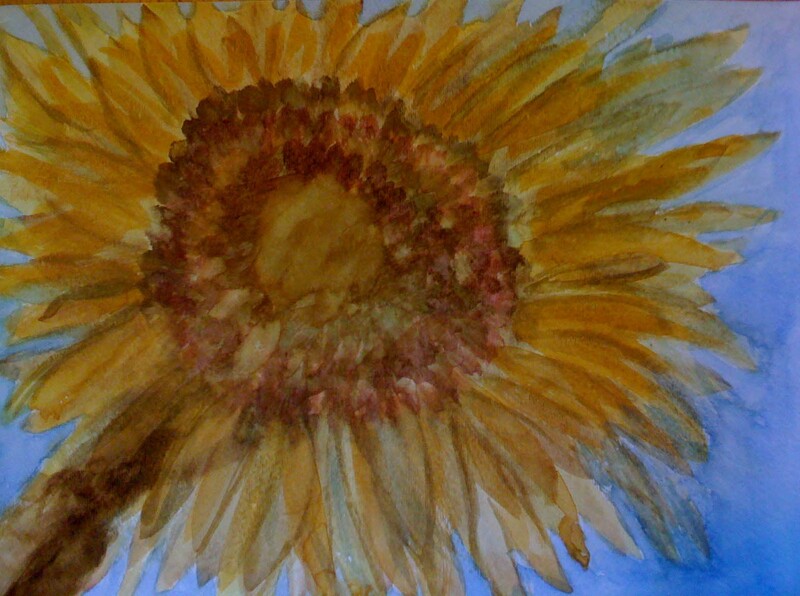 The flower was my first piece done in a watercolor class at the La Grange Art League. 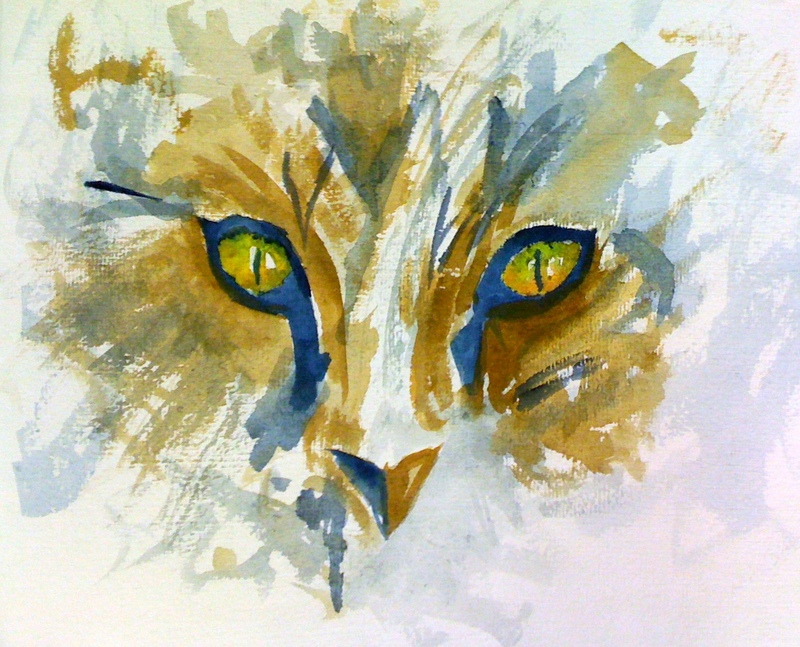 I painted the cat while following a tutorial on Wet Canvas – TONS of info on that sight for ALL types of artists…a wonderful community of very generous artists…a DEFINITE must see!! Well, I have a new friend…Jack Hamm. I’ve picked up a copy of his book Drawing the Head & Figure, and after just sitting down for a little while with him…I am actually drawing! 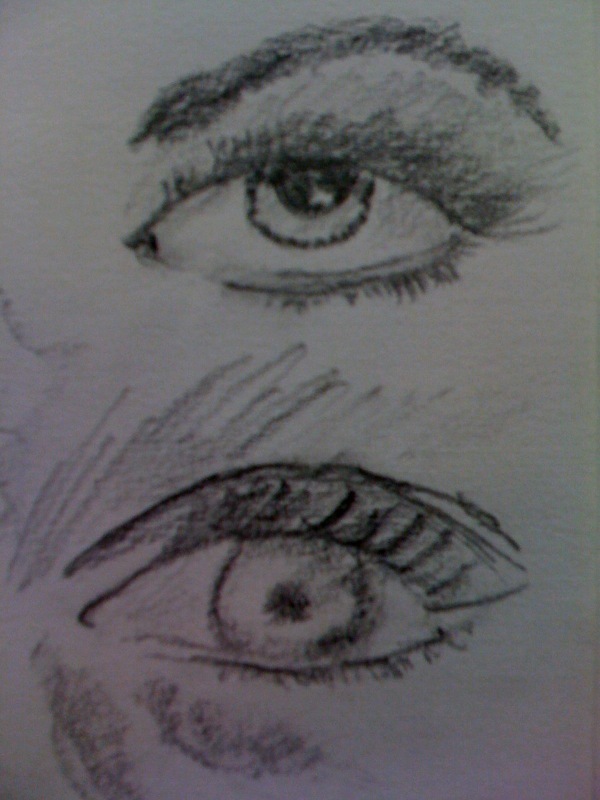 I have never really drawn anything in my life, other than some doodles and cartoon like creatures. But I’m actually quite inspired by my little friend. 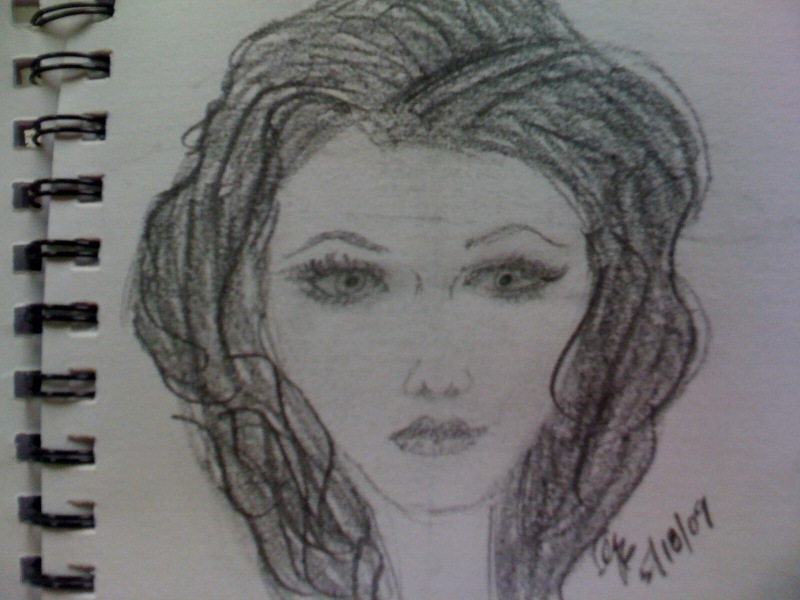 Below are some pics of some quick sketches that I have done. So, thank you, my little friend, Jack! I was playing with my Prismacolor Water Color Pencils last night. These things are beautiful. After making various swatches of the various colors, I wanted to draw something. 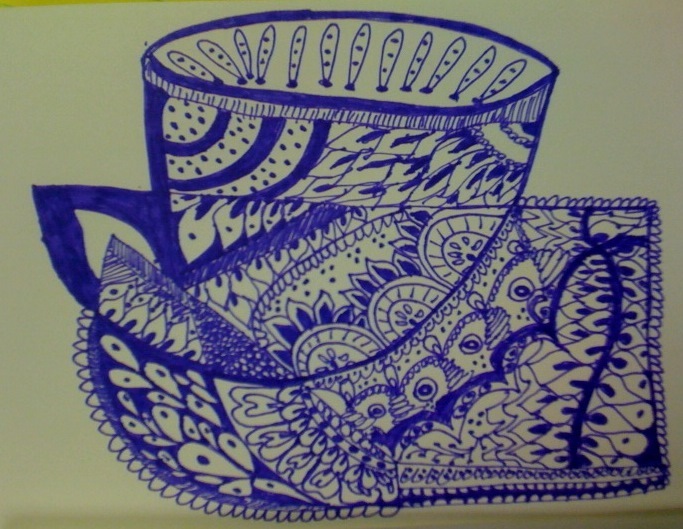 It was late, and I couldn’t come up with any ideas…so I doodled! Then I colored in the doodle with the pencils, overlaying yellow and red to make orange…and blue and red to get the purples. Basically, just mixing the colors on the paper. Then, using my small waterbrush (another great invention), I started wetting the colored areas of the drawing. Here is what I came up with. It definitely showed me some of the possibilities I could have with actual sketches. Pretty exciting! 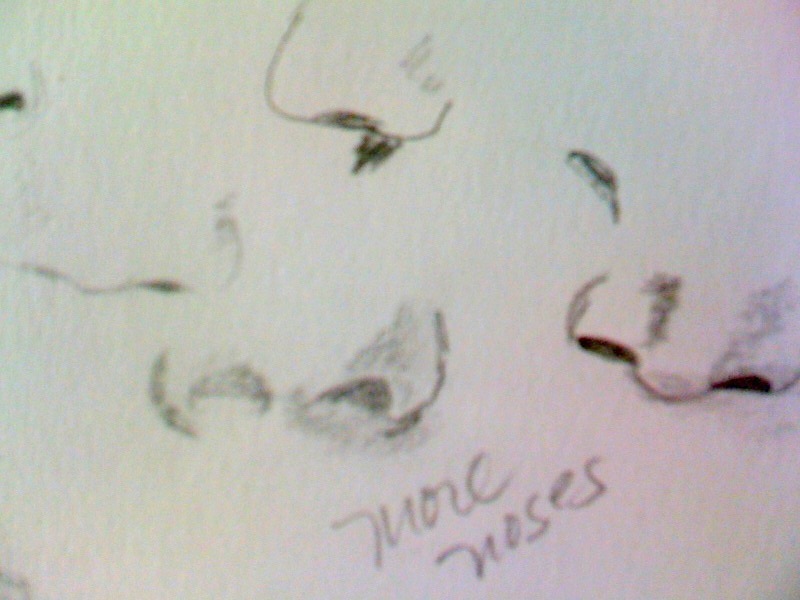 And much easier and faster to use than my tubes of watercolors. I tried to just use mostly primary colors to test the mixing capabilities on the paper. 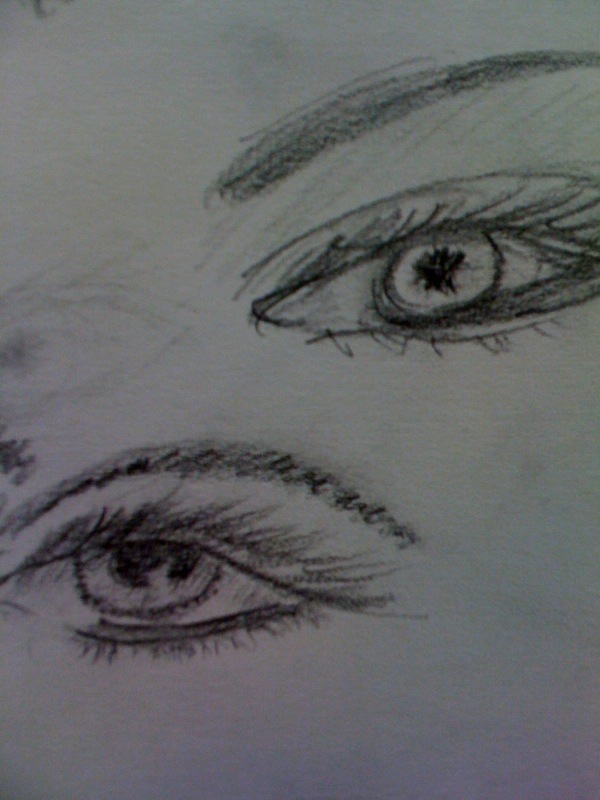 Let me know what you think…I’d love to see any work you’ve done with these types of pencils! It’s a week of many first’s! 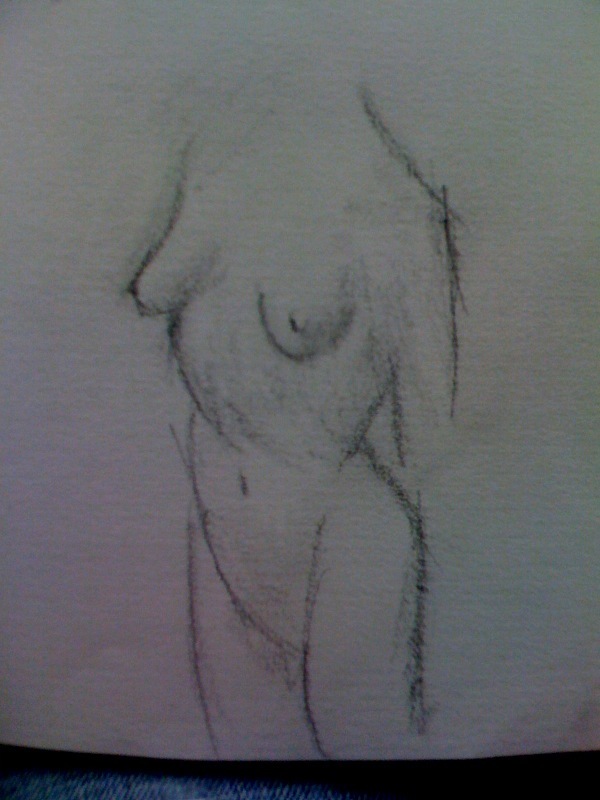 Below is my first sketch. 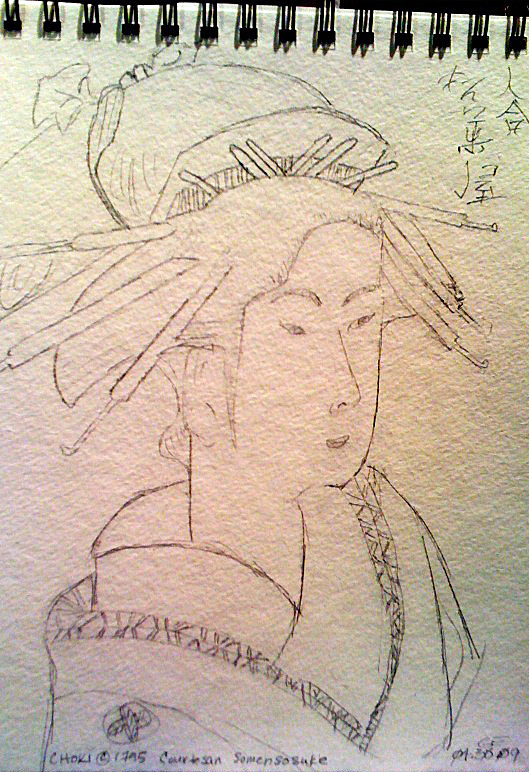 It is taken from an old Japanese woodcarving by Choki (c 1795) and is entitled “The Courtesan Somensosuke with an Apprentice.” However, it’s my version, and I ran out of paper to include her apprentice. So…she’s just goin’ solo! But isn’t that usually the case! I found the design in the Dover book “120 Japanese Prints.” I love these old Japanese designs! I’ve decided to be brave, to take the plunge. To draw, to paint, to sew, to color….and put it all out there in the world. Time to listen to my positive, more quieter inner voice…and embrace and enjoy my creativity as much as I do others’!!! 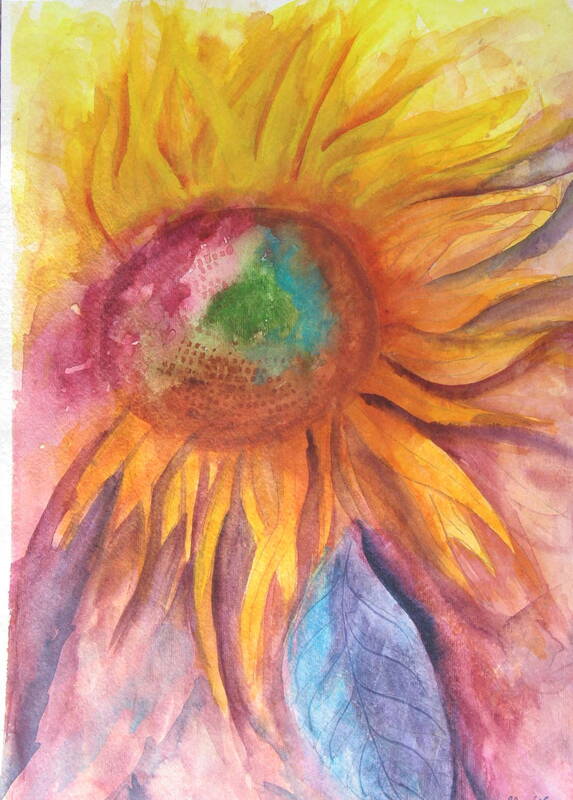 Having enrolled in the WaterColor Journaling class at Artists of the Round Table (A.R.T.). I finally have completed my first painting, practicing with neutral colors. This is a wonderful program that the ladies at A.R.T. have put together. They provide free classes in vari ous art forms, such as watercolor journaling, ATC’s, and much more. They really put a lot into these classes and really seem to enjoy what they do. Definitely a very generous and warm group! Be sure to check them out! 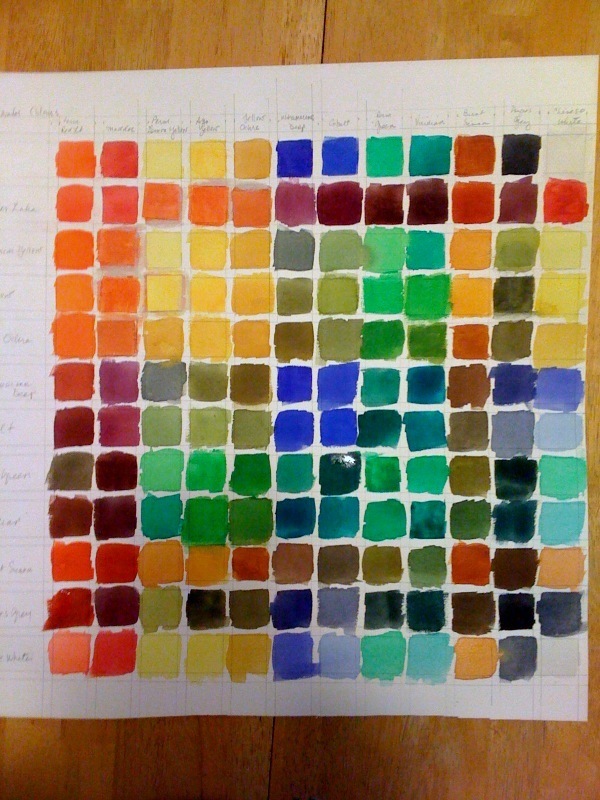 So, after months of only creating color wheels and color charts, I finally have a picture to show from it. Not too bad for my first painting…but definitely room for improvement. My latest color chart is to the left. I highly recommend making color charts – you’ll learn so much by taking the time to mix the different colors…can’t make too many of these! 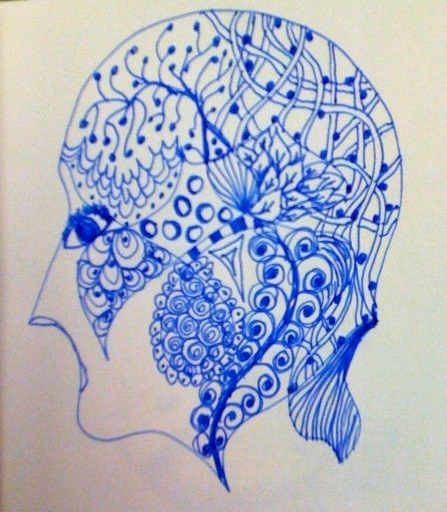 Doodles – the Ultimate Rorschach?? 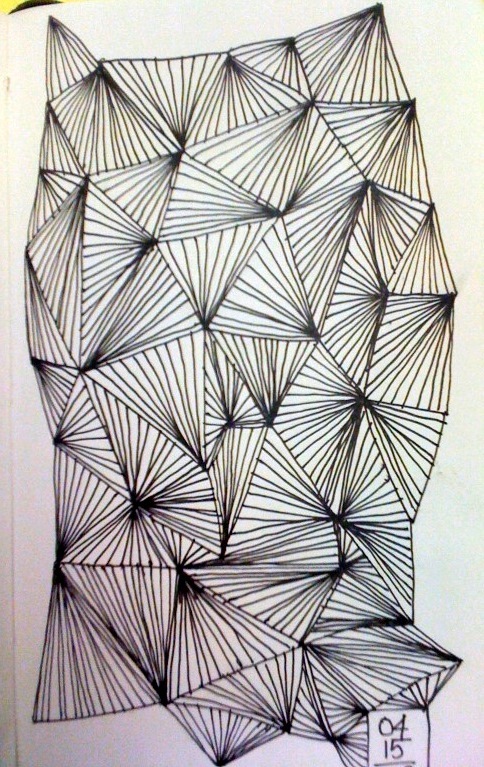 Simple doodle, nothing really to analyze here…but keep looking! Here’s where the fun begins….try this on your own…see what kind of pics you get. 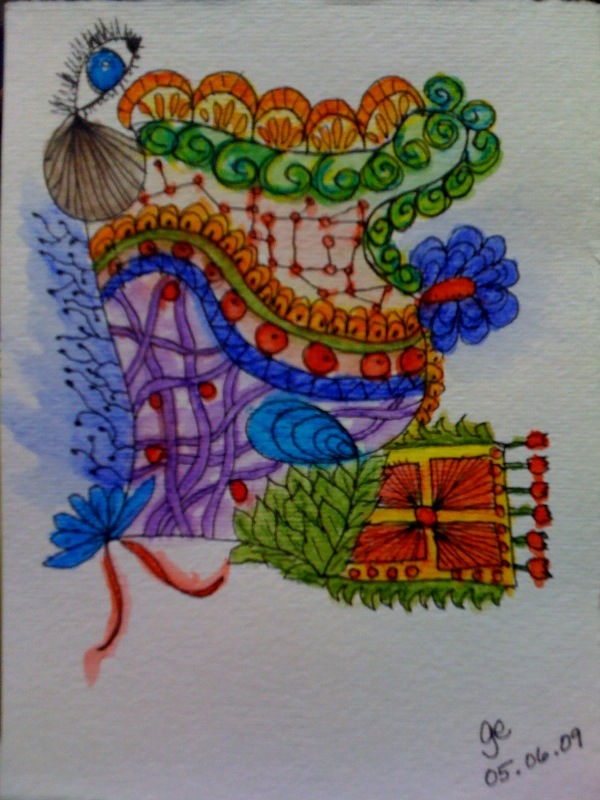 This one was made while I was attending some art classes at the International Quilt Festival in Chicago. I had art on the brain! And finally…one of my favorite things! COFFEE…RICH, DARK, COFFEE! 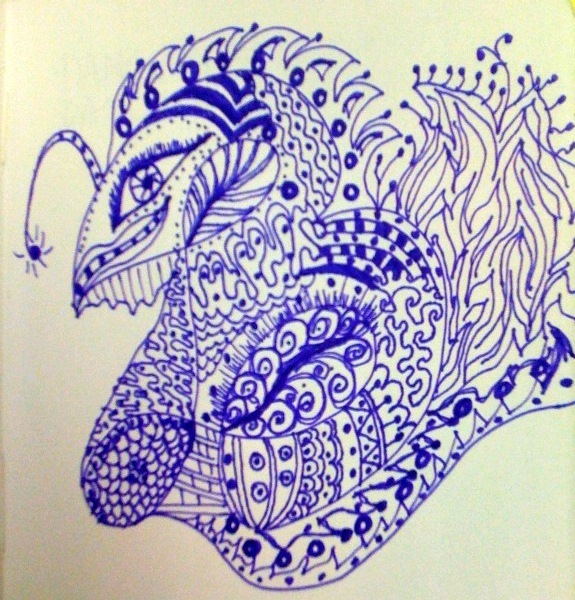 Doodling can be so relaxing and surprising at the same time. I never started off to draw any of these pictures…I just began with some random lines and curves and started filling them in. Try it for yourself, I’d love to see what you came up with!